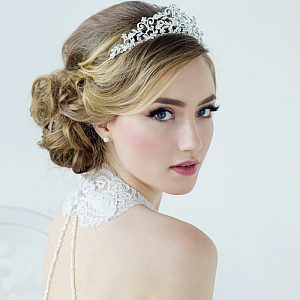 Crystal & Diamante Regal Tiara - SALE 25% Off - Was £124.99 Now £93.74! Superb regal style tiara with clear crystals and large oval diamante set stones. Make a statement in this stunning tiara. Item Added: Crystal & Diamante Regal Tiara - SALE 25% Off - Was £124.99 Now £93.74! 1× Crystal & Diamante Regal Tiara - SALE 25% Off - Was £124.99 Now £93.74!